An inmate at the Richmond Hill Prison has been charged with possession of a controlled drug and possession of a controlled drug with intent to supply. The charges were laid against Gerald Pierre, 25 years of La Borie, St George, on 18 January 2017. Pierre was among several other inmates who were working on the prison farm on Tuesday, 17 January 2017, when he aroused the suspicion of prison officers after he was reportedly seen covering an area on the farm with dirt. A search of the area and on his person turned up the illegal substance. Meanwhile, another St George resident has also been charged with possession of a controlled drug and possession of a controlled drug with intent to supply. Raymond Richardson, 59 years, Farmer of Jean Anglais, St George, was arrested, after a quantity of crack cocaine was allegedly found in his possession on 17 January 2017. 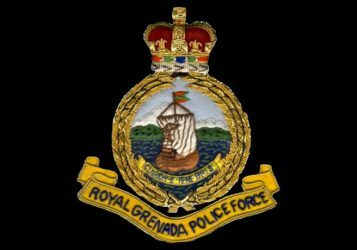 Other police arrests include Wilbur Pierre, 55 years, Maintenance Worker of River Road, St George, charged with 2 counts of stealing from a Church in his neighborhood; Sheridon Bell, 48 years, Mason of Café Beau Hill, St George, for the offense of causing harm; Dalon Warren, 21 years, Farmer resident of Black Bay, for the offence of Causing a Wound; and Richard Calliste, 44 years, of Church Street, St. George’s, for the offenses of stealing, damage to property and causing harm. A charge of stealing was laid against Ronald Augustine, 21 years, of Grand Mal, St George, while a charge of grievous harm was laid against Tamia Phillip of Mamma Cannes, St Andrew. Francis Joseph, 53 years, of Hillsborough Carriacou, was charged with the offence of possession of an offensive weapon.